A place to retreat to. 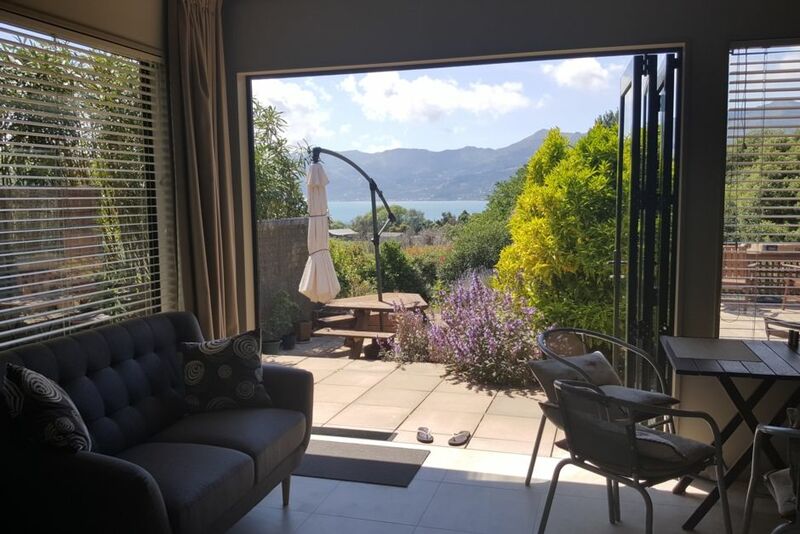 Wake up to the sound of birds, open the bifold doors and take in amazing views of Akaroa Harbour, lounge on the sheltered patio, soak up the sun and do as little as you like or bounce out of bed, launch your boat, and head out to enjoy a day on the harbour. Set on 1.5 hectares, plenty of parking and great wash-down facility if you bring the boat. Short stroll to tennis courts and safe sandy beach. Great place to relax and enjoy a holiday with family and friends. House has been architecturally designed and is well equipped to a high standard so you can enjoy a hassle free holiday. Wainui is an hour and a quarter from Christchurch, 25 minutes from Akaroa township, 10 minutes from the popular French Farm Winery Wedding Venue, 15 minutes from the Duvauchelle Store and Cafe, Historic Duvauchelle Hotel and Akaroa Golf Club. All linen provided, and all cleaning included in the price, so relax and enjoy a real holiday! You will have exclusive use of the two studios. Wainui is a tranquil rural community. Beautiful views of Banks Peninsula from both the patio and inside the accommodation. Fabulous ; we loved this holiday house and all its home comforts and incredible views to the bay. Loved this holiday house it had everything you might need and more. We swam in the bay everyday and even saw a blue penguin whilst we were out on the floating raft. Iona made us very welcome.Highly recommended. Our only regret is that we didn’t stay longer. Very peaceful. Beautiful studios that are super well equipped and nicely decorated. Quiet setting with lovely views. Short walk to the waterfront. Would definitely stay again for a weekend away! Lovely quiet spot with beautiful views and lots of bellbirds. Friendly, well-organised owners and studios are well-set up for guests.